On Wednesday both Lourdes Hospital and Johnson City Elementary School teamed up with the American Heart Association for Eat Smart Day. Eat Smart Day is a day to raise awareness about the importance of making healthy food choices and taking the steps to live a healthier lifestyle. According to the American Heart Association, more than 60% of adults in the United States are overweight or obese with one 1/3 American kids/teens being as well. Laura Dragon a Registered Dietician at Lourdes said, "This event is really because its the start of November, the start of Eating Smart Month and with the holidays coming around we want people to know you can still eat healthy during the holidays... it's not what you need to eliminate from your diet but the healthy things we can add to our plates during the Holidays". 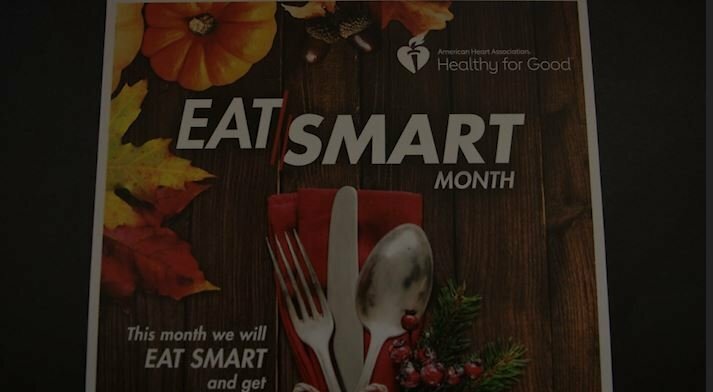 With Heart disease and stroke being Americas number 1 and 5 killers, Eat Smart Day is just trying to remind people that their diet is important to everyday life.